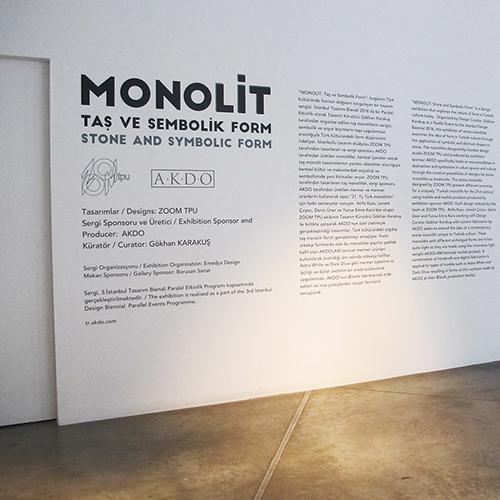 Stone monoliths designed by Zoom Tpu and produced by exhibition sponsor Silkar Madencilik/AKDO examines the role of abstraction and symbolism in urban spaces and culture. Exhibition is realised as a part of the 3rd Istanbul Design Biennial, Parallel Events Programme and curated by Gökhan Karakuş (Emedya Design). Works exhibited are Monoton by Atilla Kuzu, Monofon by Levent Çırpıcı, Monoman by Yunus Emre Kara and Esik by Deniz Üner. 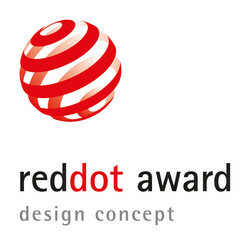 Ozon Design has been announced as two category winner at EDIDA design awards and received their awards at the ceremony on 24th February at Anjelique. For the lighting design category, Mantis Set by Atilla Kuzu awarded as the winner. 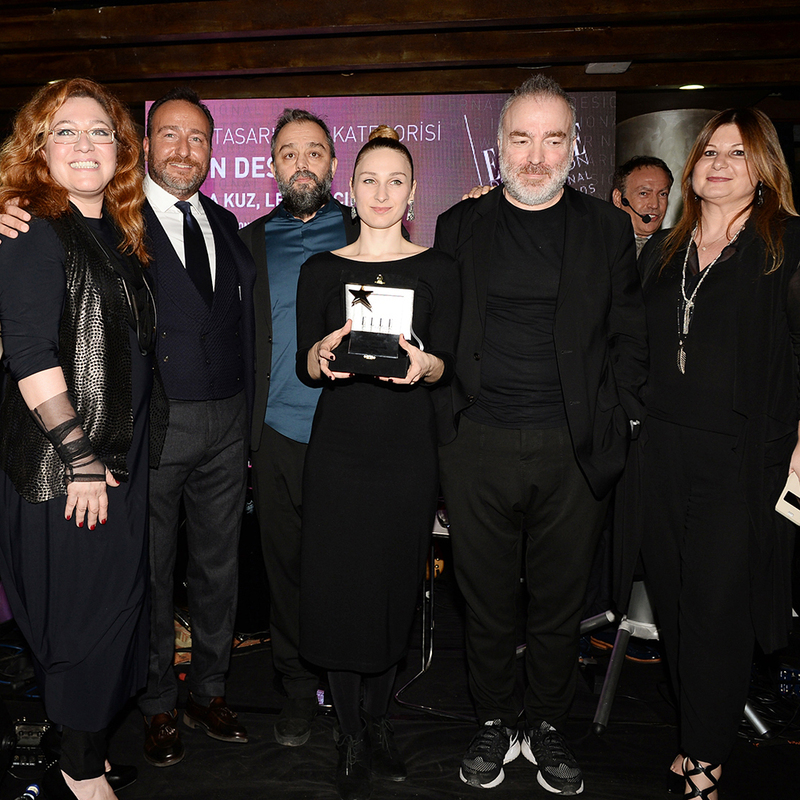 For the designer of the year category Ozon Design Team has awarded as the winner of 2015, with Mantis Set by Atilla Kuzu, T80 Desk by Levent Çırpıcı, Angel Magic Table and Aeroplano Lamp designs by Deniz Üner. Zoom Tpu ve Ozon Design has visited Gedik University on December 5th Saturday for the “10th National Interior Architecture Meetings”. 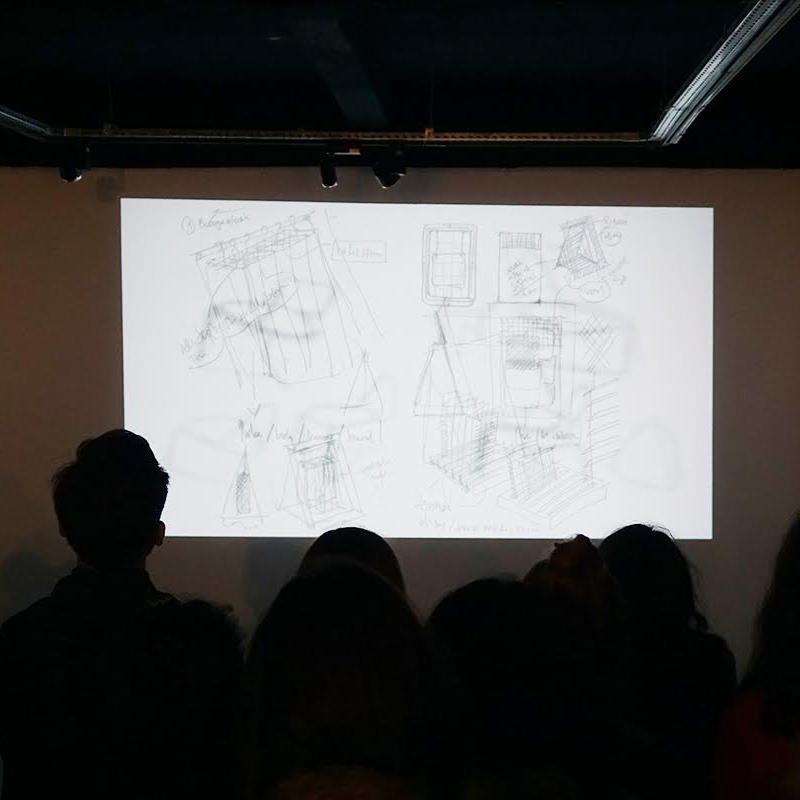 Every year, these events brings university students, the academic departments of interior architecture and designers. Yunus Emre Kara ve Deniz Uner has given presentations on this year’s topic “Color as the focal point in design” and shared their opinions on color and identitiy with real examples of Zoom Tpu projects and Ozon Design products. 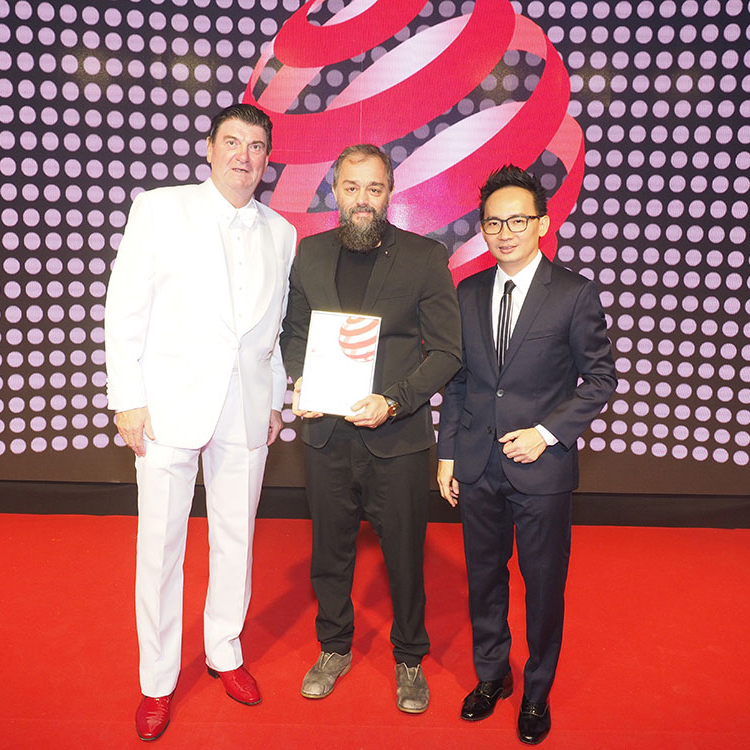 Atilla Kuzu who designed "Mantis" for Ozon Design took his furniture concept category award at the award ceremony organised by the Red Dot Design Museum Singapore, on 25 September 2015. Every year, this gala of international design attracts hundreds of guests from the design, media and industry who come to make important contacts. Again it was a night of celebration and an important highlight in the design calendar. Atilla Kuzu has joined the award ceremony with his business partner Levent Çırpıcı. 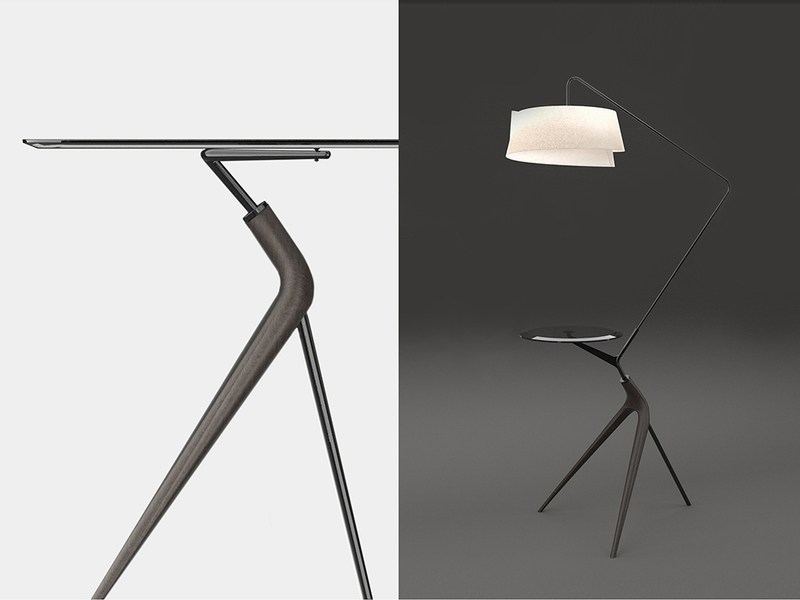 Mantis is a furniture set concept with an identical wooden leg that forms a desk, lamp, side table and stool combined together with metal frames. Mantis is using one triangular element for varying structural needs to build different type of furnitures. This way same structural item becomes a versatile element and creates a multi-functional set with minimum compromise of the aesthetics. Starting with stool and side table, the identical wooden leg is supported with the metal framing. With the table and the lamps, same item is supported with different metal frames. All parts are demountable and this makes Mantis easy to assemble unassemble. Mantis suggests that modular elements can make a product even more appealing to the eye. It shows how functional pure aesthetics can be. Ozon Design Team /June 2015 . By 2014, we have started off to design a brand new furniture collection under the Zoom Tpu family as Ozon Design. - Spin Low Tables by Yunus Emre Kara. Mantis set by Atilla Kuzu has received an award for the furniture category and the award ceremony will be held on 25th September 2015. After this date more information will be available in our website. Ozon Design Team / June 2015.